This bull, and those below, are not jallikattu bulls; they were rescued by Blue Cross of India from illegal transport. In a milestone victory in the fight for animal protection, jallikattu is now permanently banned. Jallikattu, or the “sport” of bull-baiting, took place mostly in the Indian state of Tamil Nadu. The events were cruel and subjected the bulls to being tormented by crowds of young men attempting to tackle them. Behind the scenes, bulls were tortured in order to get them to run, since bulls do not naturally run the way horses do. Many Indian animal groups worked hard against jallikattu, notably Blue Cross of India, which fought an uphill battle for more than five decades to have jallikattu banned. On May 7, 2014, jallikattu, was banned by the Supreme Court of India. Because the scope of China’s trade in tiger products remains so murky, other nations must demand answers and accountability from China at the convention’s meeting next month. We need to know, for instance, whether and how deeply government officials are involved in the black market and whether China is tacitly allowing the domestic sale of tiger products. It’s an embarrassing list of questions for President Xi Jinping, who has made rooting out corruption a top priority. Wild tigers are on life support. The world must persuade China to phase out its tiger farms, end all commerce in tigers and commit to cooperative international conservation and enforcement efforts. If not, the largest of the world’s cats will not survive. A luxury market in skins, meat and wine endangers the rare cat. This is a video about a young great spotted woodpecker bathing. With for some seconds, a white wagtail in the foreground. Mike Seuters from the Netherlands made the video. Still 28 March 2014 in San Gerardo de Dota in Costa Rica. 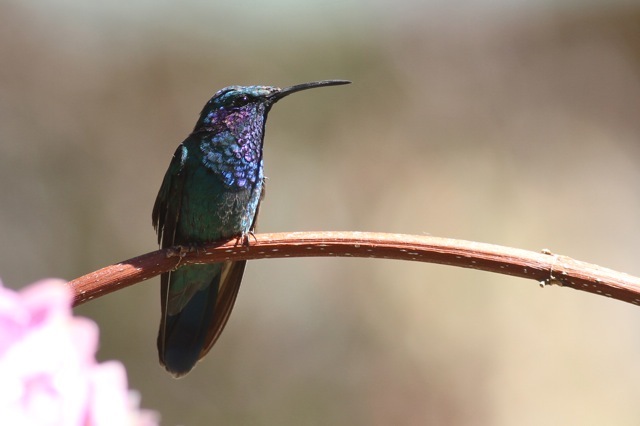 After the earlier birds of that day, hummingbirds: like this green violetear. 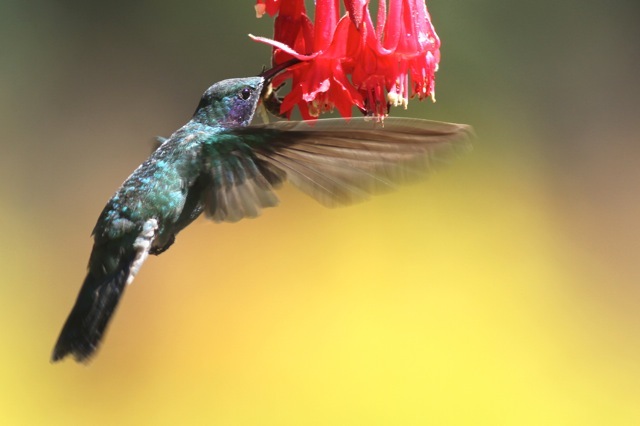 Nectar feeders and flowers attract hummingbirds; and a slaty flowerpiercer as well. 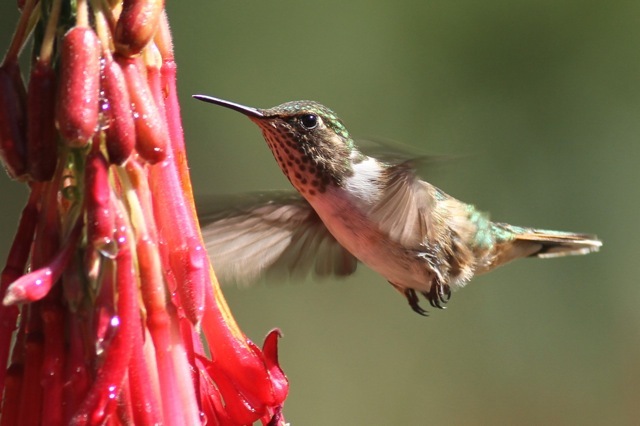 The hummingbird species include volcano hummingbird. 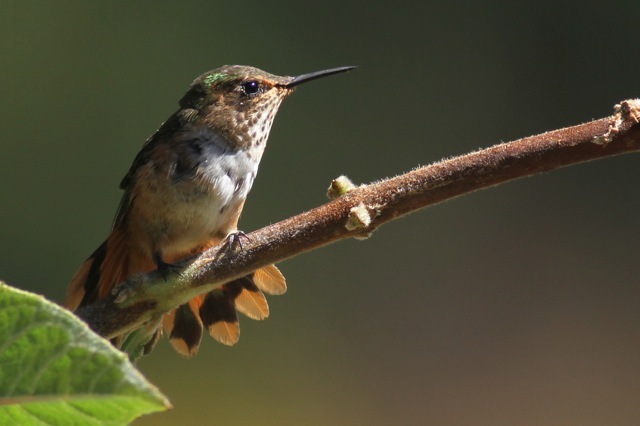 Sometimes, a female volcano hummingbird rested on a branch. White-throated mountaingems were present as well. 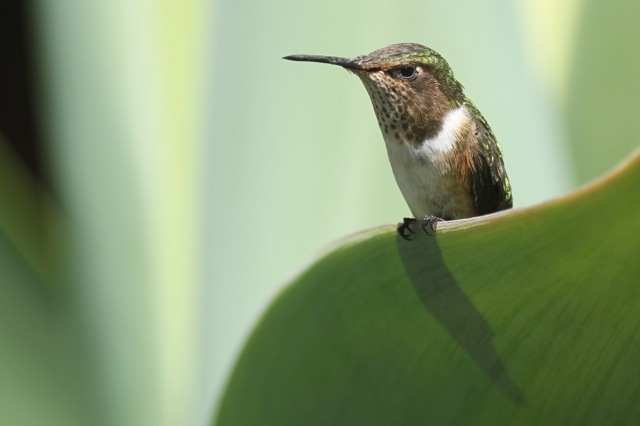 And a relatively big species: magnificent hummingbird. 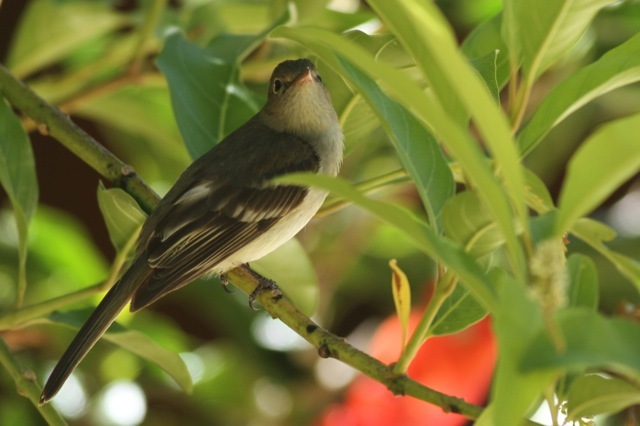 Another Central American cool mountain forest species: yellowish flycatcher. At 10:20, a swallow-tailed kite flies overhead. We have to leave, to the Central Valley of Costa Rica. Thanks to Ahmed El Sherbiny for his report on the May 15, 2014 workshop held to propose changes to Egypt’s animal welfare law. On Thursday, May 15, 2014, EFAW, the Egyptian Federation for Animal Welfare, in association with GOVS, the Egyptian Organization of Veterinary Services, held a workshop on proposed animal welfare legislation, based on Article 45 of the new Egyptian Constitution. 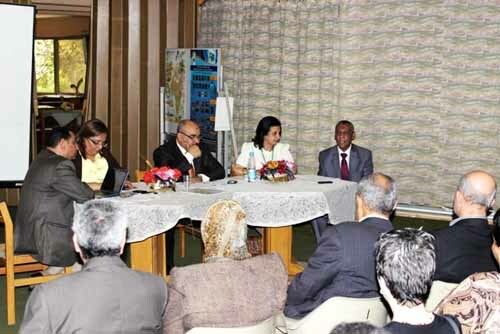 The workshop, held at the Environment Culture Centre at the Giza Zoo was attended by many with an interest in Egyptian animals, including Dr. Nadia Zakhari, the ex-Minister of Academic Research, and representatives from GOVS, the Water and Environment Police, the Giza Zoo, The Egyptian Bar Association, and EFAW, as well as judges, law professors, other university professors, and individual animal advocates. A lively discussion took place related to the existing legislation, and ministerial decrees related to animals. One) Immediately stop the use of the poison strychnine as a form of animal control and to implement TNR programs instead. Two) To organize a dialogue among animal groups and animal advocates with regard to proposed veterinary legislation. Three) Establish a specific District Attorney Department to handle any cruelty cases related to animal welfare. Four) Enact specified animal welfare legislation, based on article 45 of the Egyptian Constitution. Five) Amend article 357 of the Penal Law in include jail time only, and delete the option of a fine. Six) Apply the existing agriculture law No 53/1966 to include pet shops. The workshop participants expressed their thanks to the Water and Environment Police and the Giza Zoo for their prompt response in wildlife cruelty issues. Mr. Ahmed El Sherbiny ESAF and EFAW chairperson. This video is called Skomer Island (Wales) Puffins, Guilemots, Razorbills – Dirk’s Birds. An evening walk to Porthmynawyd, a family of 7 raucous Chough, 20+ Gannet diving, a Peregrine unsuccessfully stooping on Rock Doves, Chiffchaff, Whitethroat and Willow Warbler in the valley, a Sparrowhawk with a Hedge Sparrow caught in flight on the path back to Lochvane. 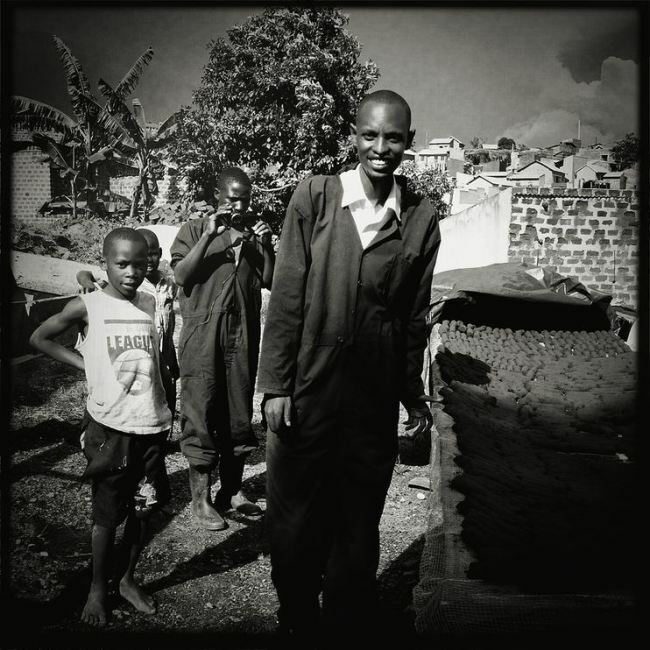 Social entrepreneur Sanga Moses founded Eco-Fuel Africa, a company that sells kilns and machines that turn food waste into briquettes of clean, inexpensive cooking fuel. and: Wind propulsion such as kites and Flettner rotors could offer a viable way to help cut CO2 emissions and fuel use by as much as 50% on smaller cargo vessels in the shipping sector. Leafing-Out and Climate Change – the timing of leaf out in many species is related to the length of days, rather than temperature. Some species, particularly from the southern hemisphere, have this evolutionary adaptation, as they migrate north, they may replace trees that cannot tolerate increasing heat.